One of the big questions we get asked by our clients is, “do we have to carry out our own sanctions checking?” the answer is yes. Unfortunately there are people in the world that are up to no good and getting in to business with these people could land you in some serious trouble. There are many online services that are simple to use, you simply enter details of the company you plan on dealing with and the system will tell you whether or not there are any sanctions against the company in question. It’s quick, it’s easy and it is required to be compliant with current regulations. The consequences of not carrying out your own sanctions checking could be very serious, as retired forwarder Christopher Tappin found out. Christopher Tappin was arrested in the UK in 2010 and extradited to the US where he served time in a Texas prison four years after he had retired. He was accused of conspiring to export batteries for Hawk surface-to-air missiles from the US to Iran, an accusation he strongly denies, the offence carries a sentence of up to 35 years in jail. He believed he was shipping the batteries for the car industry in the Netherlands but unbeknownst to him, his client had been dealing with a fictitious company set up by immigration and customs enforcements, he claims he was the victim of an FBI ‘sting’ operation. Christopher Tappin spent two months in New Mexico’s Otero County detention centre with 10 days of that being in solitary confinement before he was released after forking out $1 million (£620,000) to pay for bail. The associate of Mr.Tappin was jailed for 24 months after pleading guilty to conspiracy to export defence articles. This all could have been avoided if Mr.Tappin had carried out checks on all of the parties involved in this shipment. 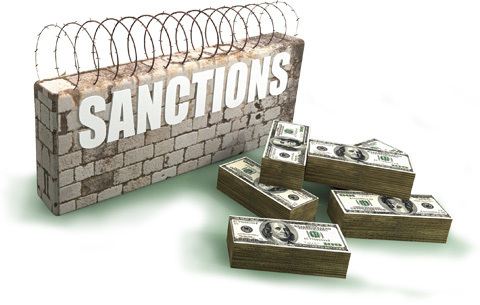 The UK government has started taking sanctions compliance a lot more seriously in recent years and hefty fines could be handed out for those companies that don’t fall in line. is it really worth the risk? Contact us today to find out more about how you can protect your company!